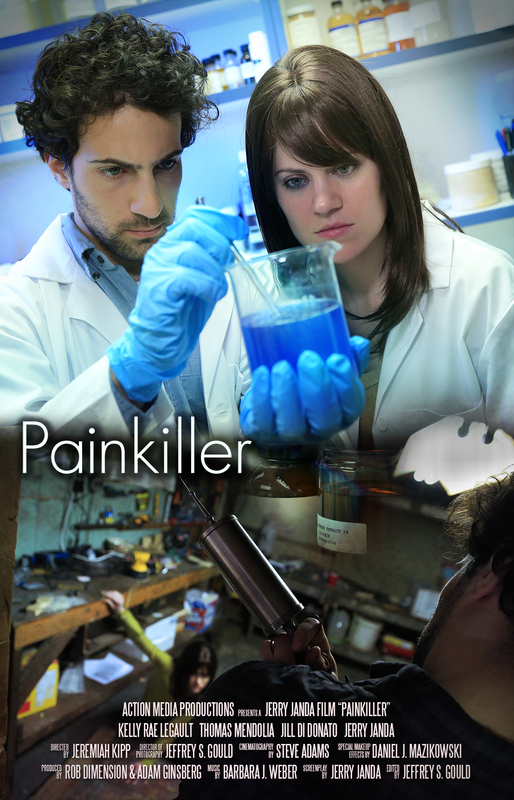 PAINKILLER (directed by Jeremiah Kipp) is a dark, disturbing tale of addiction, abuse, and codependency that combines body horror and psychological terror. Two scientists (Kelly Rae LeGault, Thomas Mendolia) develop a radical solution for pain: an organism that thrives on suffering and rewards its host with pleasure. When one of the scientists volunteers as a test subject, however, the couple quickly discovers that the organism comes with a chilling side effect. The scientists turn to outsiders for help (Jill Di Donato, Jerry Janda), but can anything stop the organism before its appetite for agony consumes them all? Due to violence, profanity, and sexual situations, the film is recommended for mature audiences. Running time is 15 minutes 30 seconds.